Paul Pogba has said that his immediate future is with Manchester United but he is not certain what will happen in the long term. There has been intense speculation throughout the summer surrounding the relationship between the 25-year-old and United boss Jose Mourinho. 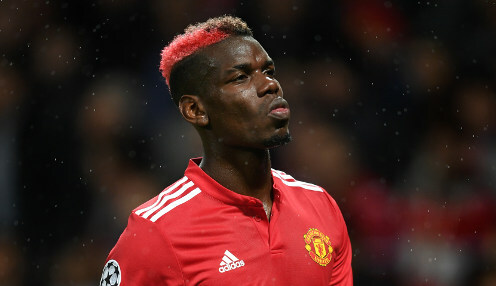 Barcelona and former club Juventus were both linked with a possible swoop for his signature, but Pogba ultimately stayed put at Old Trafford after the transfer deadline. I still have a contract, I'm playing there at the moment, but who knows what will happen in the near future. It has not stopped the rumours about his future, but Pogba is adamant that he is now focused on rediscovering his best form for the Red Devils following his late return to the club after helping France win the World Cup in the summer. However, he was cagey when discussing where he will be further down the line. Speaking after France's goalless draw against Germany at the Allianz Arena in Munich in League A of Uefa's Nations League on Thursday night, Pogba told Sky Germany: "I'm trying to work on myself physically. I got back late [from the World Cup], so I'm trying to perform as well as possible. "I'm just trying to do my job and for the rest there'll always be talk." "My future is currently in Manchester," he added. "I still have a contract, I'm playing there at the moment, but who knows what will happen in the near future." On Mourinho, Pogba said: "We have a pure coach-player relationship, that's right. "One thing I can assure you: I will always give 100 per cent, no matter which coach I always give everything, I cannot say more." Pogba is 66/1 to finish this season with United and pick up the PFA Player of the Year award, while United are available at 11/4 to secure a top-four finish.